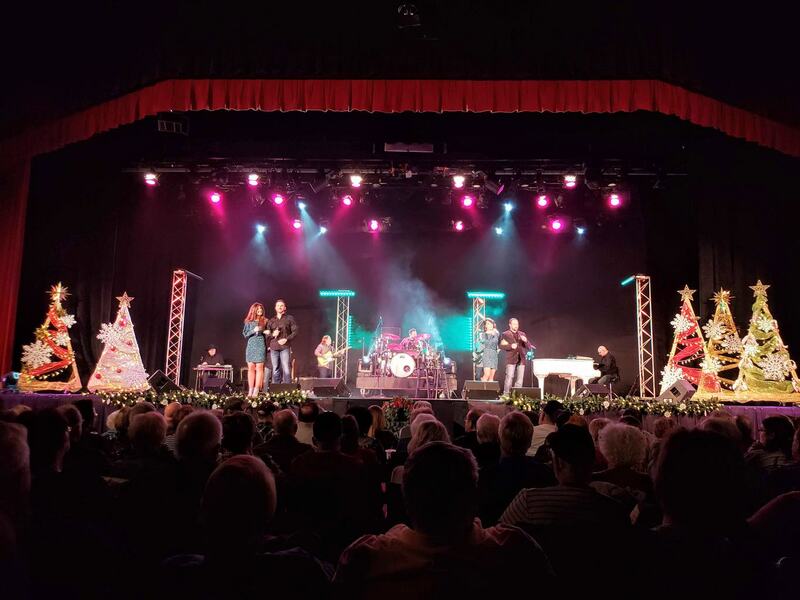 The theater Shows in Branson are top-notch and compete on par with some of the other music venues and theaters that I’ve been to located all over the country, but entertainment in Branson during Christmas is even more spectacular! 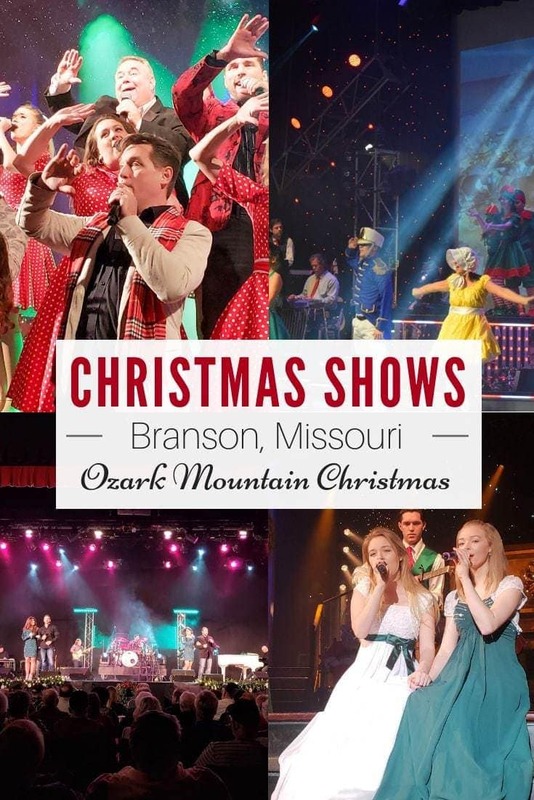 You are in for a treat during Branson’s Ozark Mountain Christmas. Not only is Branson, MO a truly amazing vacation destination for families from all over the world, it brings theater entertainment to a whole other level. Being a southern girl, I never knew that a place like this existed smack dab in the middle of the country. I’d heard of Branson here and there from others, but underestimated the true beauty of this southern Missouri town. This post is in partnership with Stone Castle Hotel and Branson attractions. My accommodations and tickets were provided to me to help facilitate this review, but my opinions are always my own. Branson Fun fact? Branson actually has more seating than Broadway located in NYC! 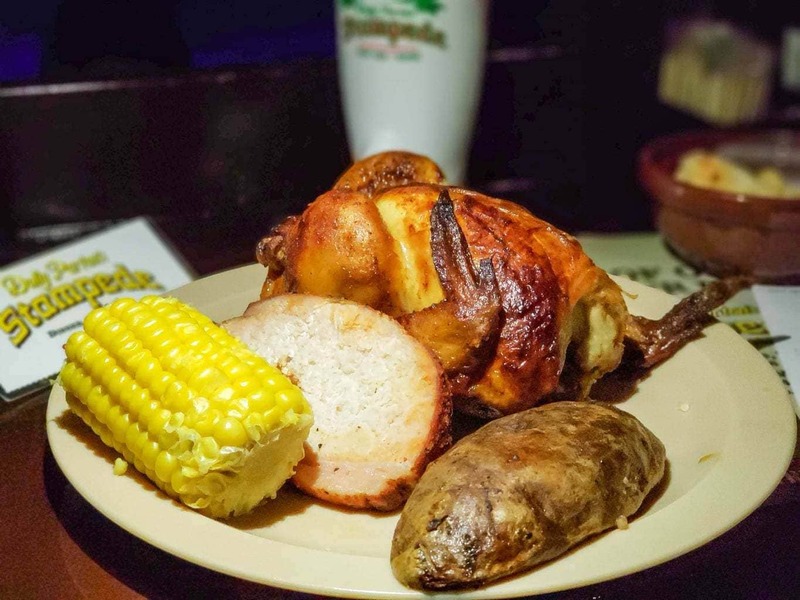 If you are looking for some seriously entertaining talent that is perfect for the entire family, Branson will welcome you with open arms and hospitality that is second to none. It’s virtually impossible to head to Branson and NOT take in some form of show or entertainment. With over 50 different theater venues to choose from, there is literally some form of theater entertainment for everyone! 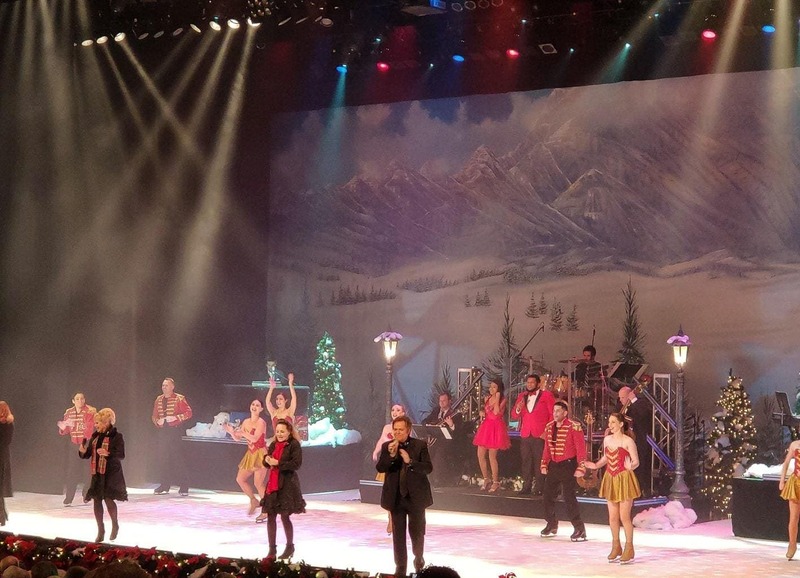 During my visit to Branson during Christmas, I was able to view several amazing Christmas shows in Branson that I’m still smiling from. (and humming along to still as well!) 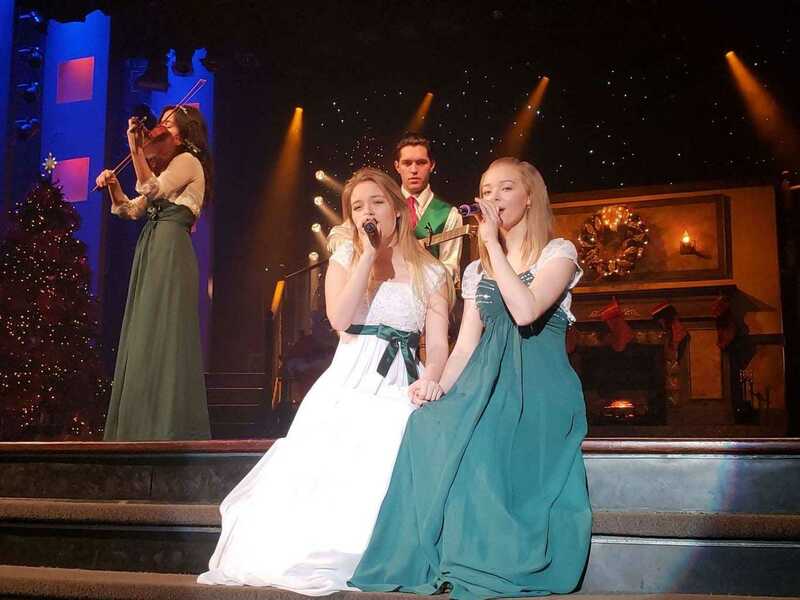 If you have time during your visit to Branson, make certain to check out these engaging and perfectly performed theater shows. Trust me, you don’t want to miss this amazing show! With over 24 entertainers performing on stage, there isn’t a dull moment to be had. And this show is one of the most seasoned and entertaining shows that Branson has to offer. It’s been running for over 32 seasons and still going strong! 32 seasons! I was so fortunate to be able to attend the holiday special this year. I’ve honestly never seen a better group of performers nail song after song flawlessly. After sitting in the crowd and feeling the energy from Clay Cooper himself, it’s no wonder that this show is such a success. He does a great job of putting on a truly stellar performance. I’ve viewed his shows on two different occasions during my travels to Branson, and I can tell you with certainty that there is an absolute reason that he has been performing in Branson for 32 straight seasons. His engagement with the audience is one that will stick in your memory forever. Amazing music and comedy, all in one? 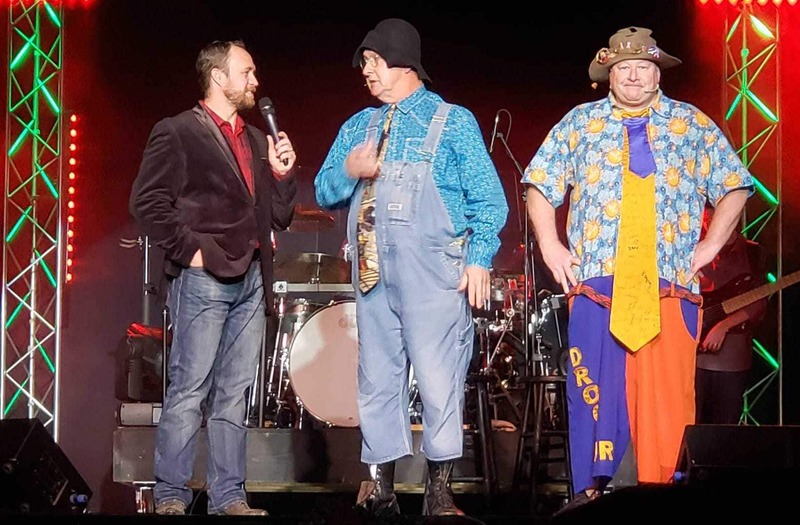 Look no further than the Baldknobbers show. And not only do they take pride in each and every show, but they have also literally been performing for just under 60 years! Talk about a well-oiled machine! The jokes were on point, and the chemistry between everyone on stage was just perfect. I actually found myself disappointed when the show was over because I didn’t want it to end. Keep in mind that even if you’ve seen this entertainment venue before, you need to head back and watch their Christmas show as well! Completely different, and 100% worth it! It’s no stretch to say that this Dolly Parton Stampede dinner theater is truly like nothing that I’ve ever experienced in my life. The Dolly Parton Stampede is one of the most popular entertainment shows in Branson and for good reason. I was also super impressed by the live horses and other animals used throughout the show and the Christmas special is something to not miss. After watching the holiday show, I now know why people travel hundreds of miles to view. 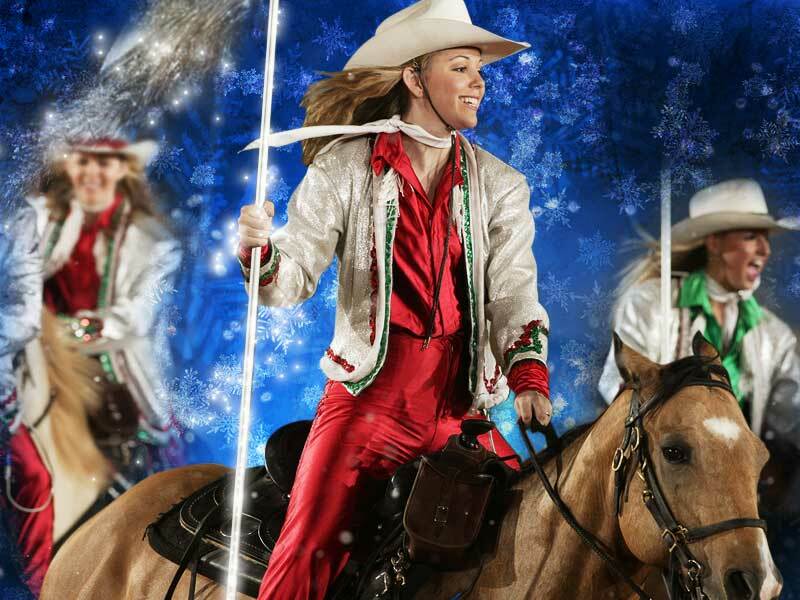 Dolly Parton Stampede magically relays the true meaning of Christmas through the use of their amazing cast. Be ready to be mesmerized by this family show that truly does encompass their entire family. In my opinion, the Hughes Brother Music Show showcases everything that Branson stands for: family, fun, and entertainment. With 50 entertainers on stage, you won’t be able to take your eyes off this amazing show. (you won’t want to, either!) If you are looking for the “ultimate Christmas experience”, buy your tickets now to the Hughes Brother Christmas show! There’s dancing, singing, comedy and even a special appearance by Santa! 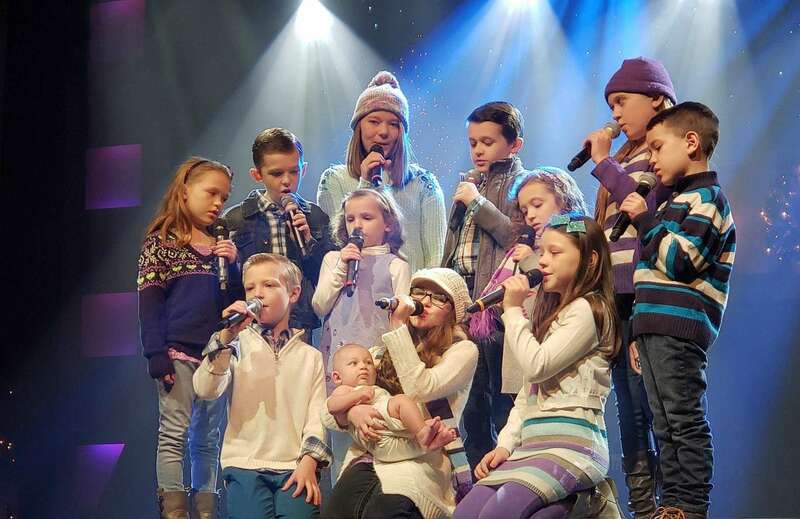 This holiday music show is great for all ages! Over 6 million people worldwide have attended the Haygoods theater and show, so what are you waiting for? With an audience and following that big, it’s no wonder that it’s often referred to as the “Best Show in Branson”! Every show that they’ve put on for the past 25 years have left audience members wanting more! (and many times coming back and watching again and again! )One cool fact about the Haygoods show? They use over 20 different musical instruments throughout! Don’t miss out on their Christmas show, either. Sitting in the crowd, you will be able to sing along with so many of the classical favorites that they perform. It will bring back some truly special holiday memories from your own childhood. Wondering why Silver Dollar City made the list for theater entertainment in Branson? Because this theme park has great shows going on all the time, each and every day! Plus, once you’ve paid your ticket admission, the shows are free to attend. Silver Dollar City is known as one of the top Christmas festivals and people from all over the world visit for the Christmas lights. (over 6 million and counting!) Once they are there, they are also pleasantly surprised by all the shows that are waiting for them to watch just inside the gate. 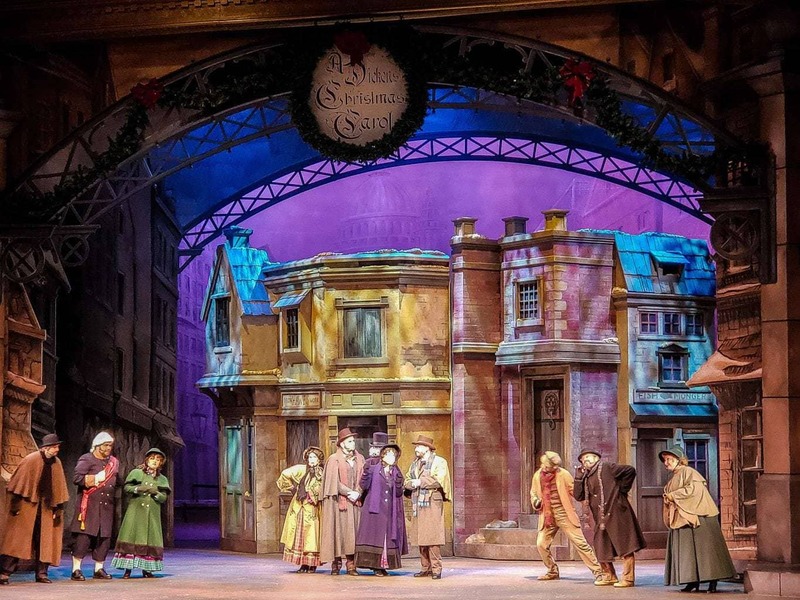 Christmas shows and music venues that are currently happening at Silver Dollar City include “A Dicken’s Christmas Carol”, “It’s A Wonderful Life”, Christmas on the Bayou, Frontier Fa-la-la Lollies, Holiday Hearthside Harmonies, The Living Nativity, Tinker Junior’s Toy Shop, and performer Tracy Heaston. 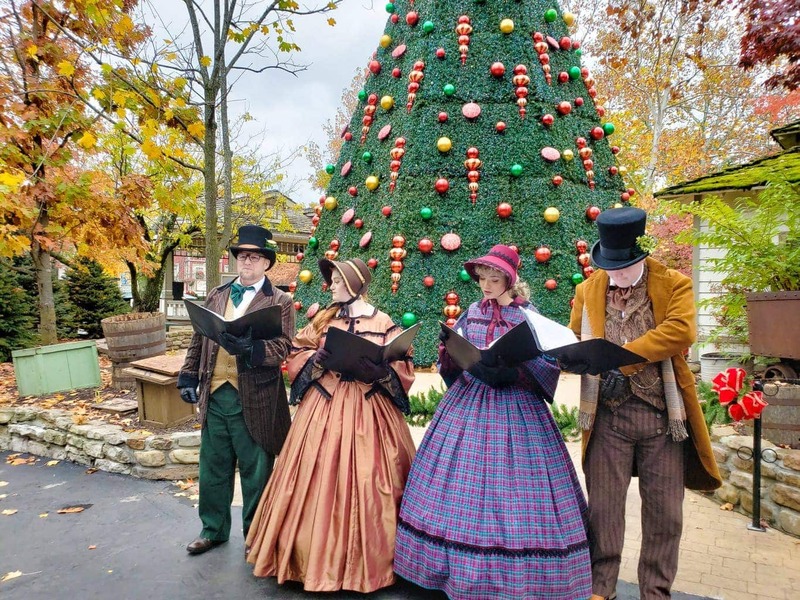 Don’t miss the old-time Christmas festivities and shows at Silver Dollar City! Reminiscence in memories while watching the Andy Williams Ozark Mountain Christmas.Ice skating, music and a beautiful tribute to Andy Williams are what this stellar Christmas Show is all about. For the entire duration of the Andy Williams Ozark Mountain Christmas, your eyes will never leave the stage. 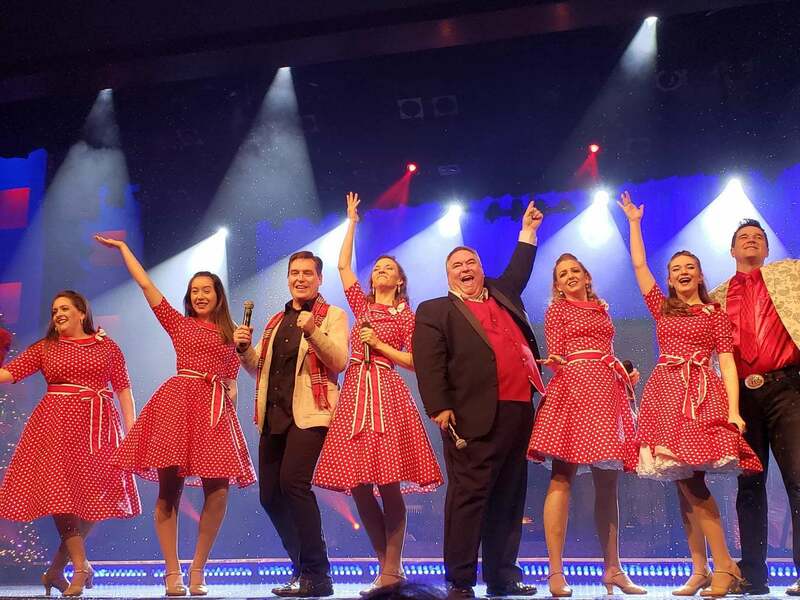 The current cast is star-studded and they do an excellent job of showing just how much talent truly lies in Branson. 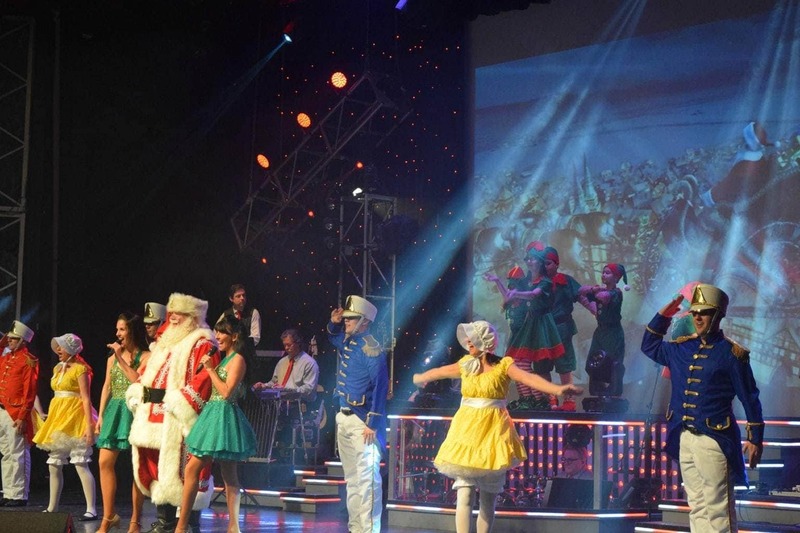 Exploring the magic of Christmas with the Showboat Branson Belle. 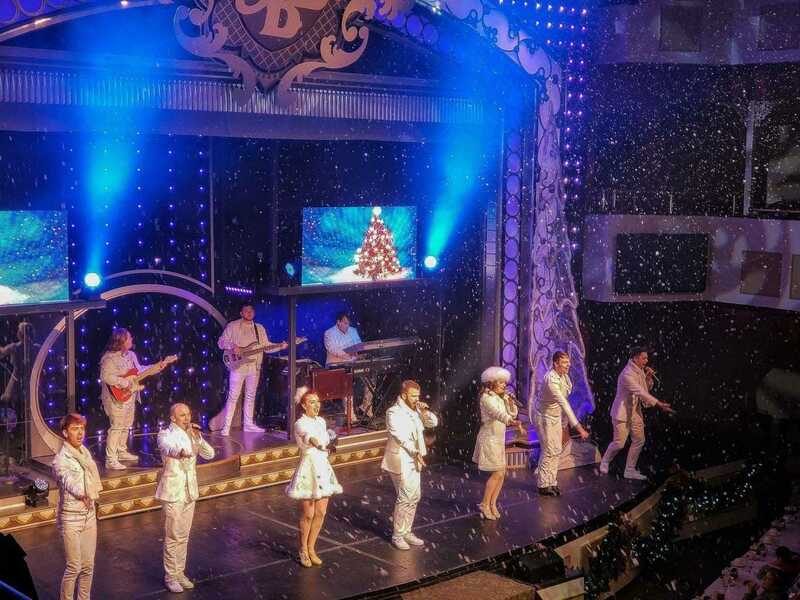 Just when you think the holiday festivities couldn’t keep going at Branson, it’s time to experience everything that The Showboat Branson Belle has to offer! 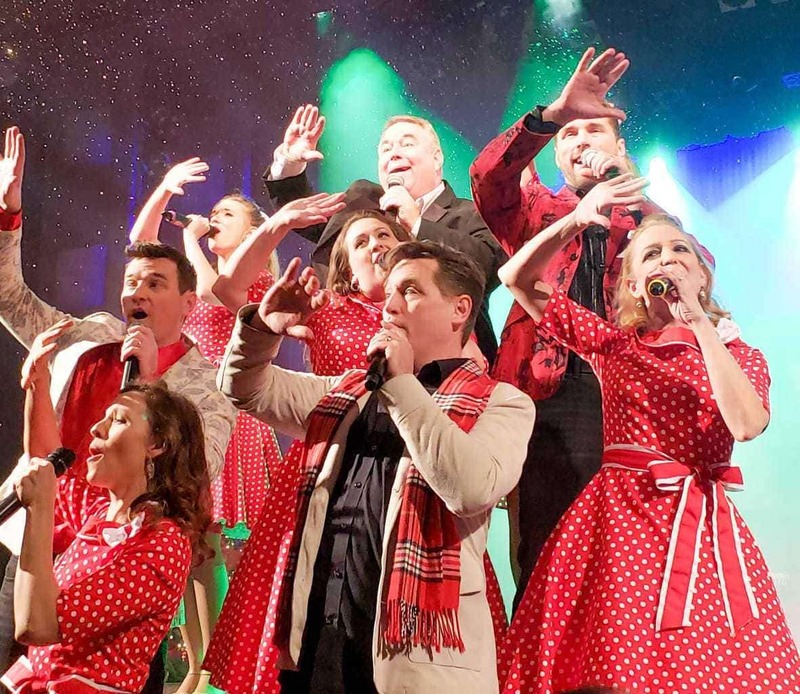 You’ll be tapping your feet and singing along with hits from the ’60’s as well as a ton of holiday favorites here and there. When it comes to entertainment, The Showboat Branson Belle doesn’t hold back! While these were just a few of the amazing Christmas shows and venues that I was able to see, this is by no means an all-inclusive list of the theater options. Branson, MO has a ton of great talent that is a MUST for you and your family! My advice? Book as many shows as possible while you are visiting for the holidays! There are so many options that it can be a bit overwhelming trying to filter through them all to decide which ones to choose but hopefully, this guide will come in handy to help you decide! It’s no stretch of the truth to say that you could plan a week’s stay in Branson and still not see all the amazing shows that are offered. During my next visit, I’ve already started my Branson Bucket List for more shows that I plan on catching with my family. I’m not gonna lie…there may be a few on this list that I can’t wait to watch again! 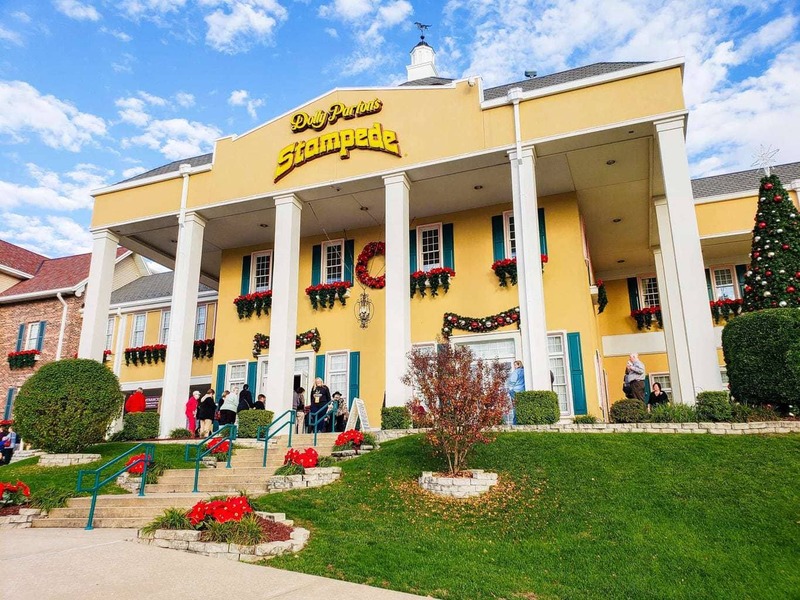 If you and your family are looking for a great place to catch some great shows and theater venues, plan a trip to Branson, MO. You’ll be laughing, singing and probably more than likely dancing the night away with the beats from the music and the shows. Trust me, you and your family will love everything that Branson has to offer!